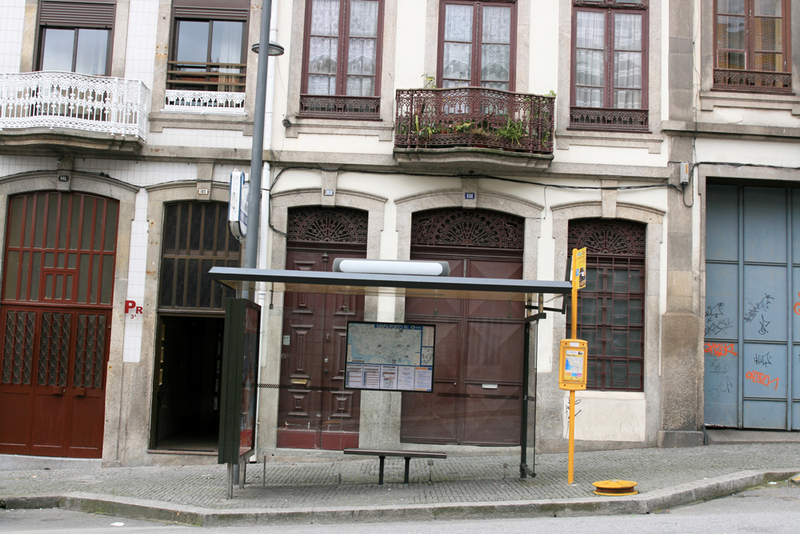 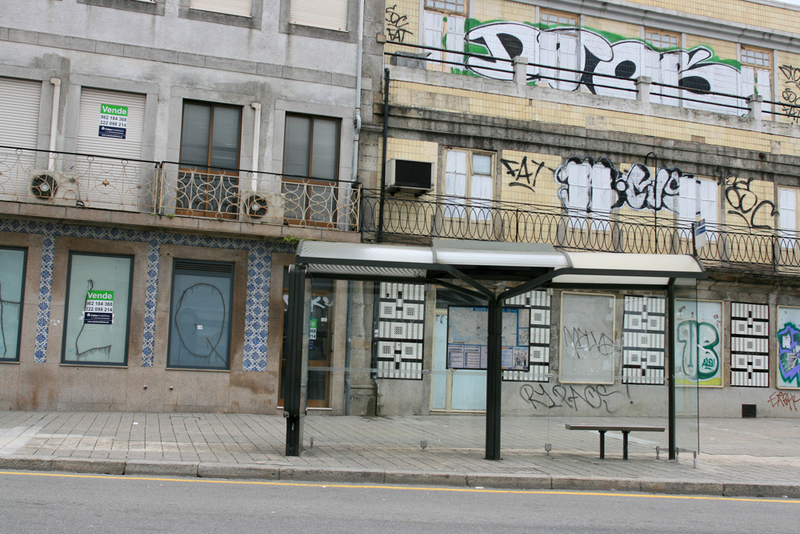 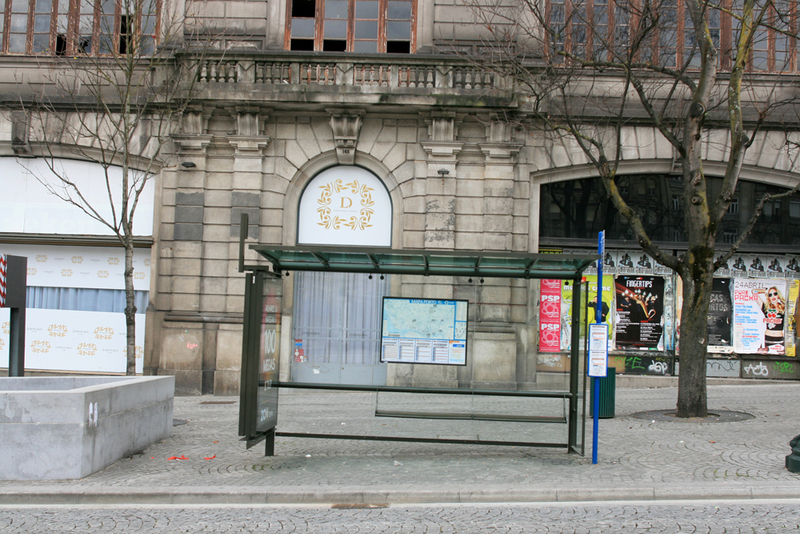 The bus stop considers the stillness of the place in contrast to the usual flow of the travellers and buses, seen as a space of transition, a threshold and passage between the communal and individual worlds. 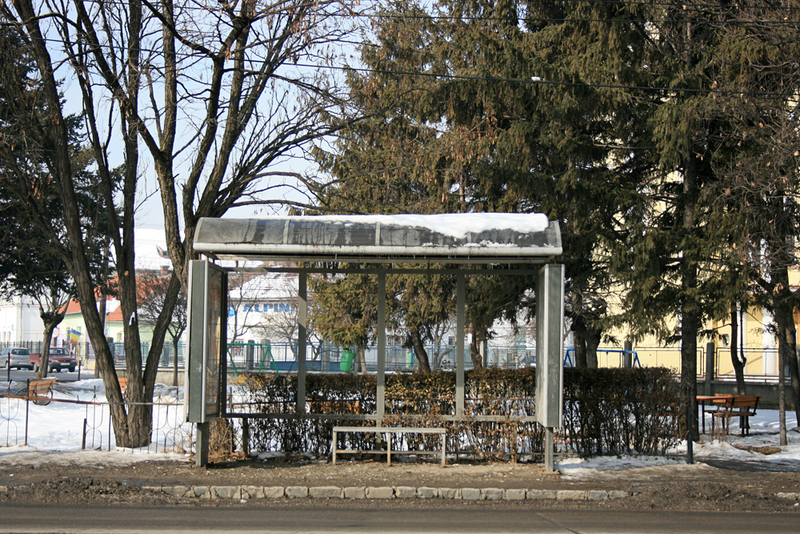 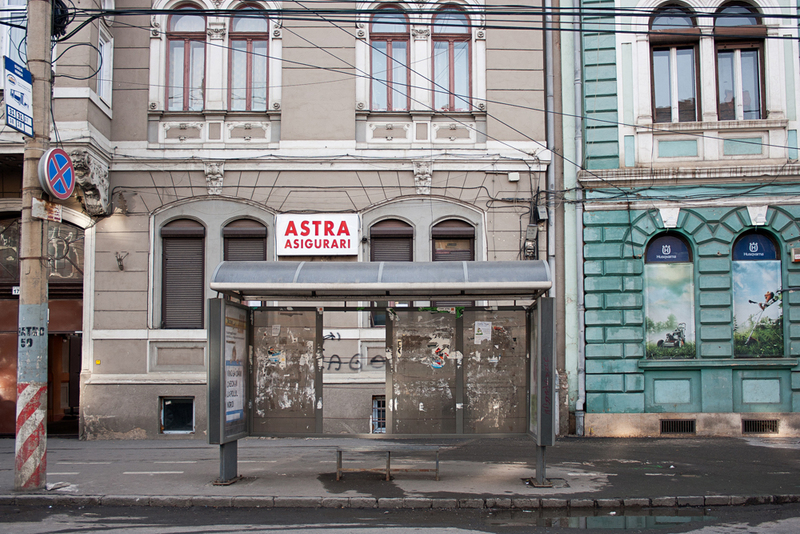 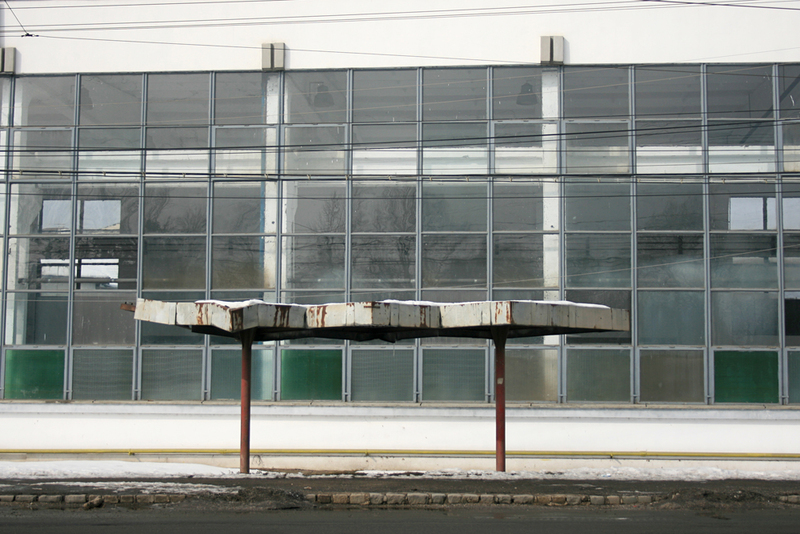 The series ‘Bus stops. 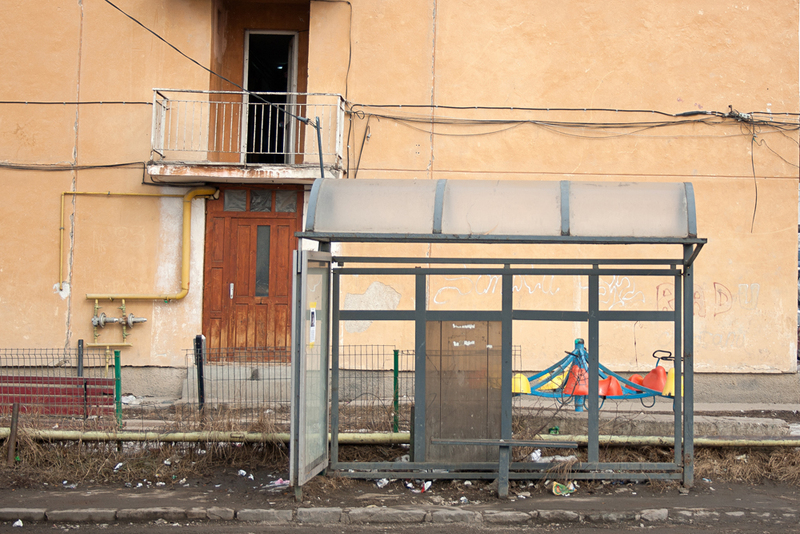 Thresholds of our daily lives’ presents this social space as a marker in the flux of a journey. 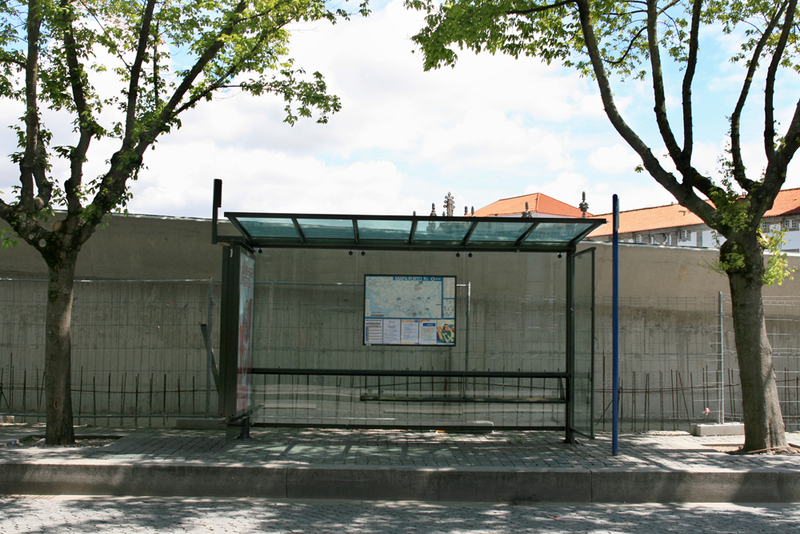 The social convention implies that here is where the bus stops, where journeys begin and end. 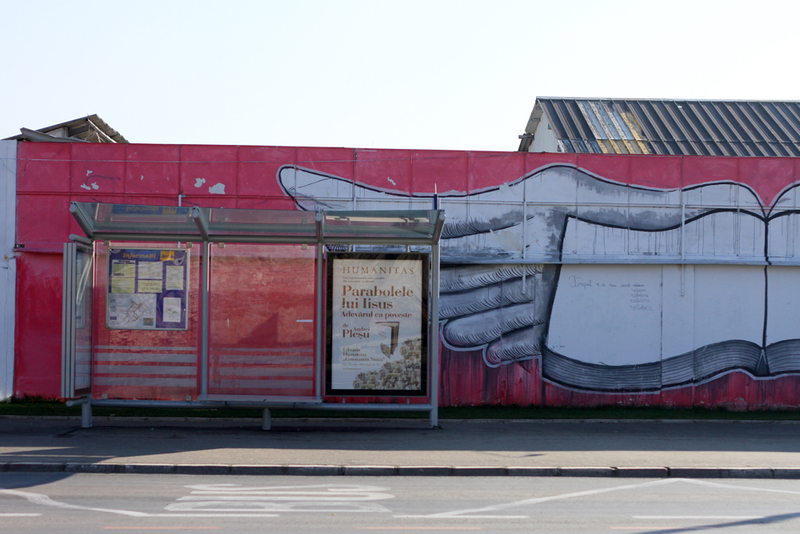 A passage is granted from the social space of travellers to the meaningful spaces of individuals. 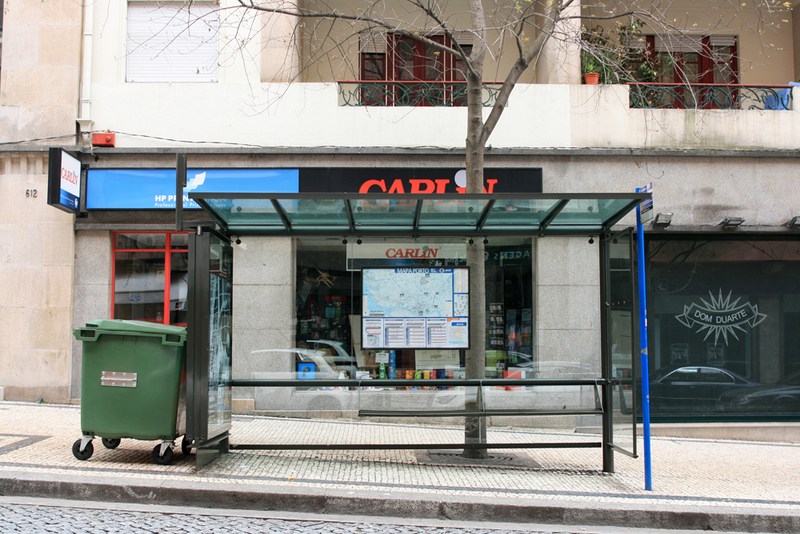 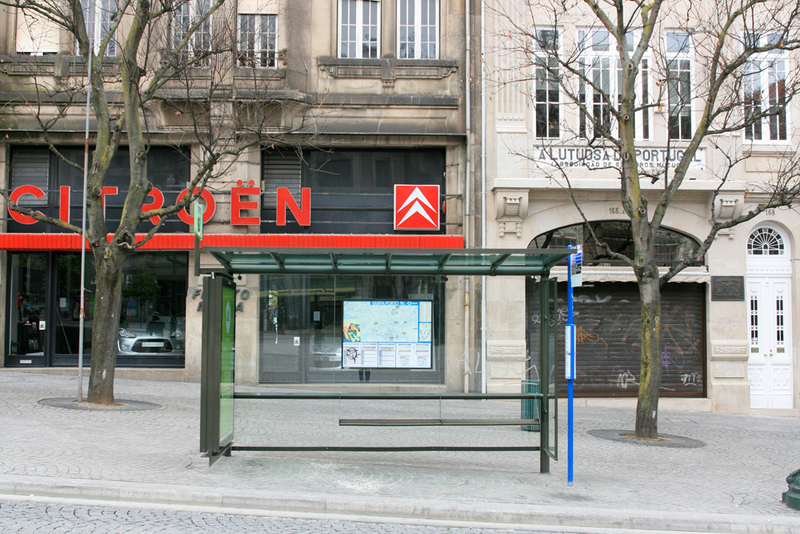 Although substantially identical, the differences of shape, size, or context of the bus stops can easily be noticed. 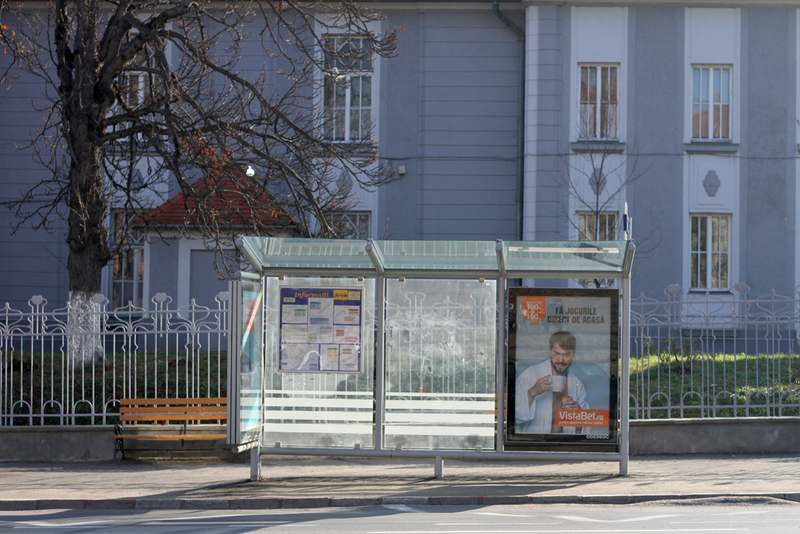 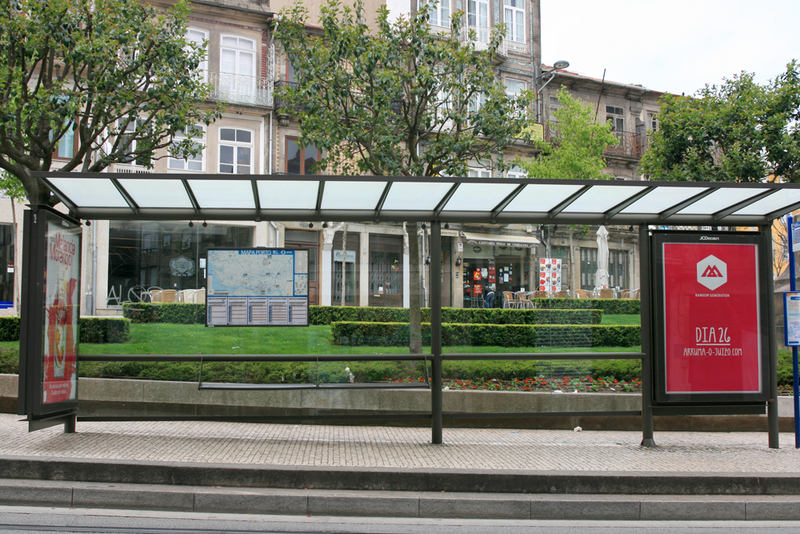 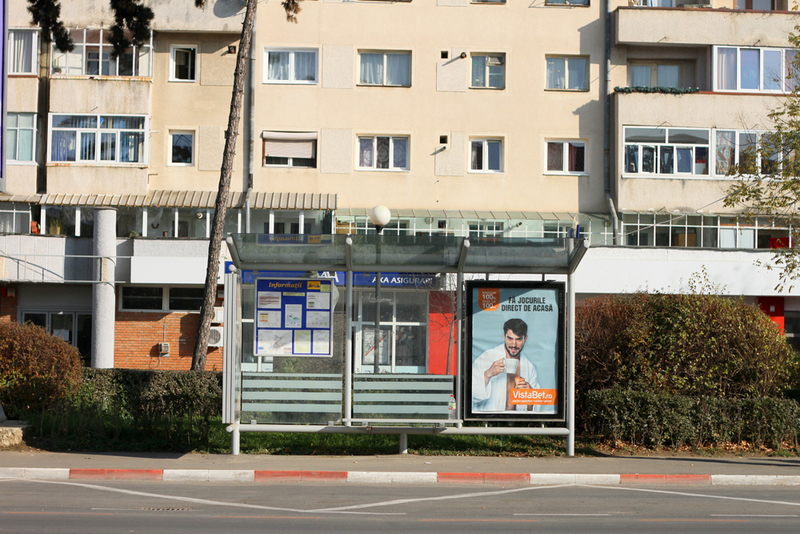 Whether it exhibits an advertisement, a bench or a map, the bus stop accommodates and sometimes informs the traveller in the moment of passage. 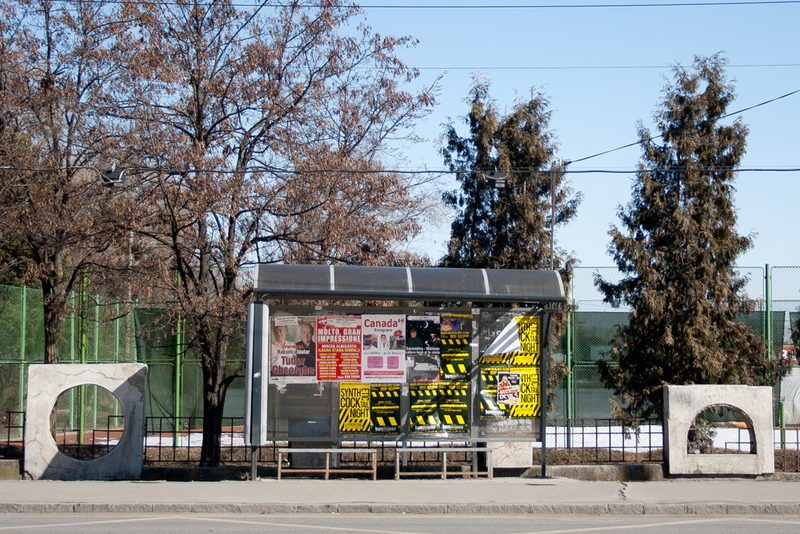 The suspension in the itinerary of the transit is like a pause at a theatre play, a novel’s in-between chapters, or a change of a song’s rhythm. 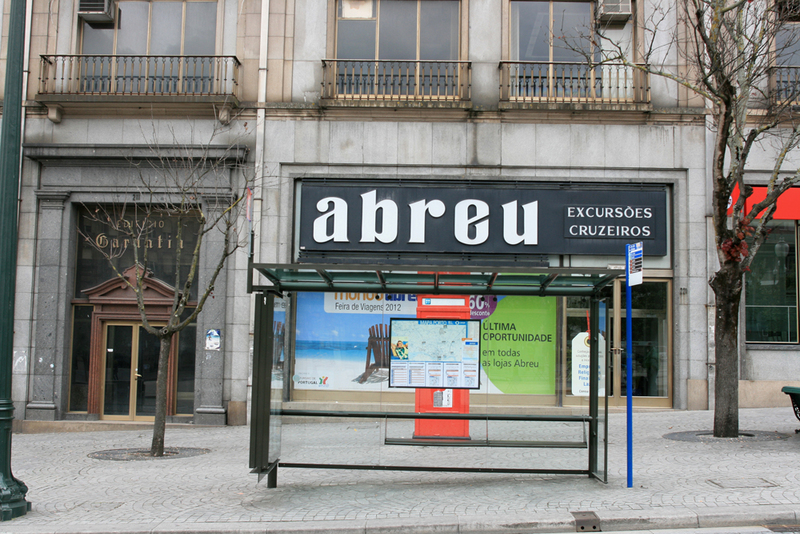 In this series the place is empty and no bus approaches. 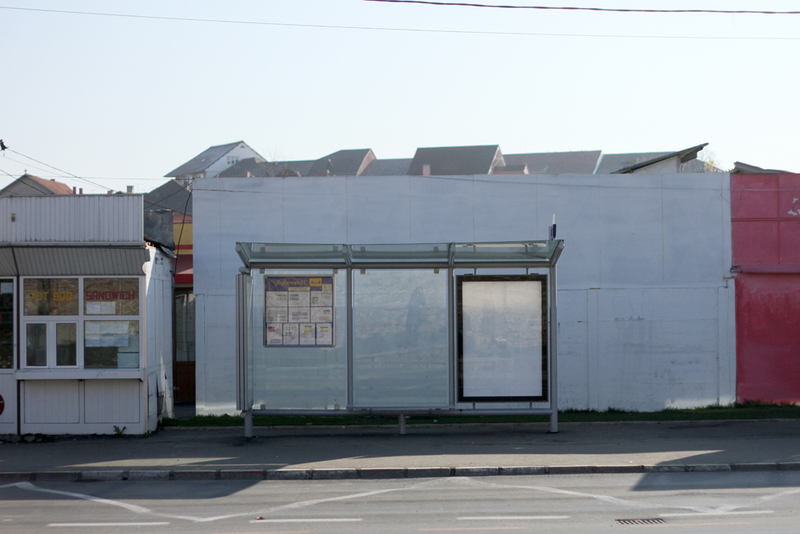 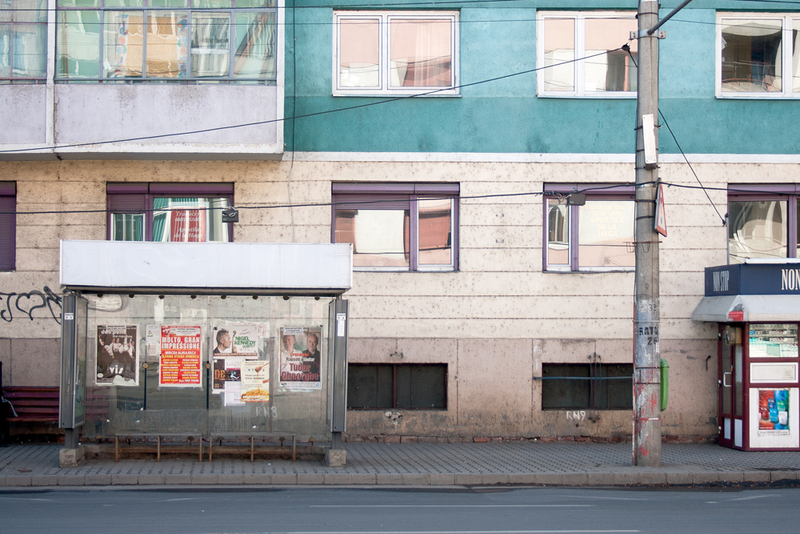 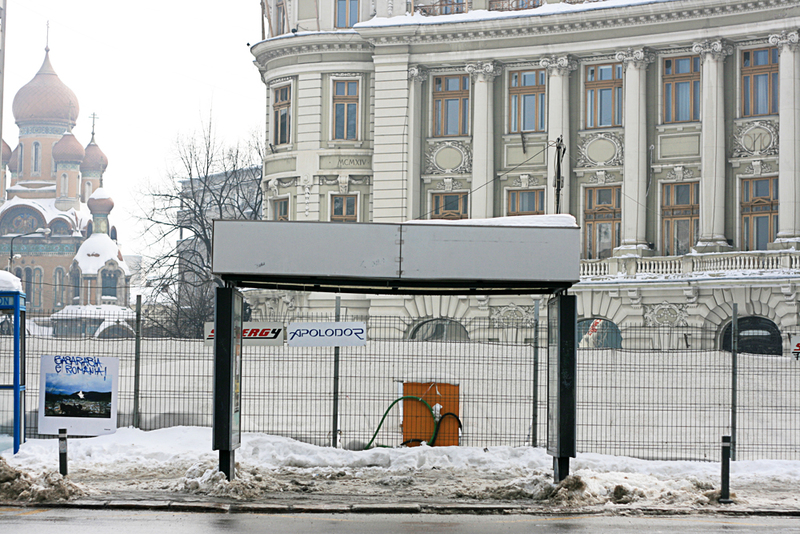 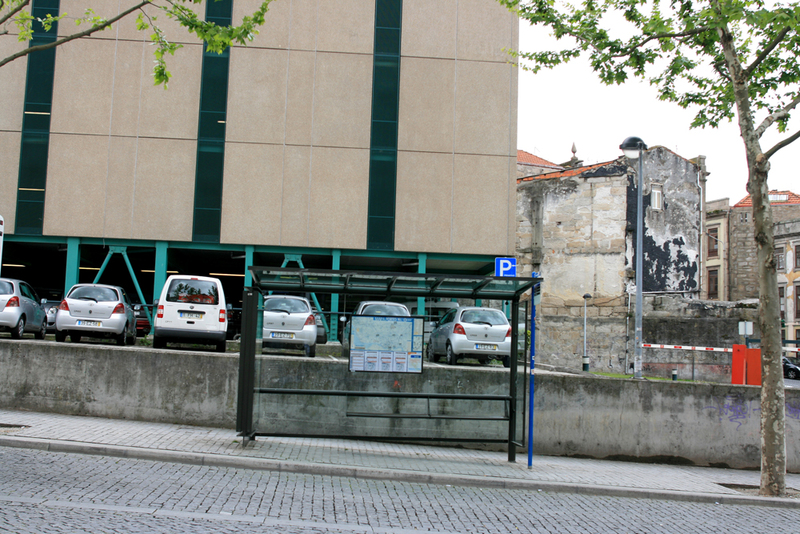 The unpopulated space of the bus stop draws the viewer in. 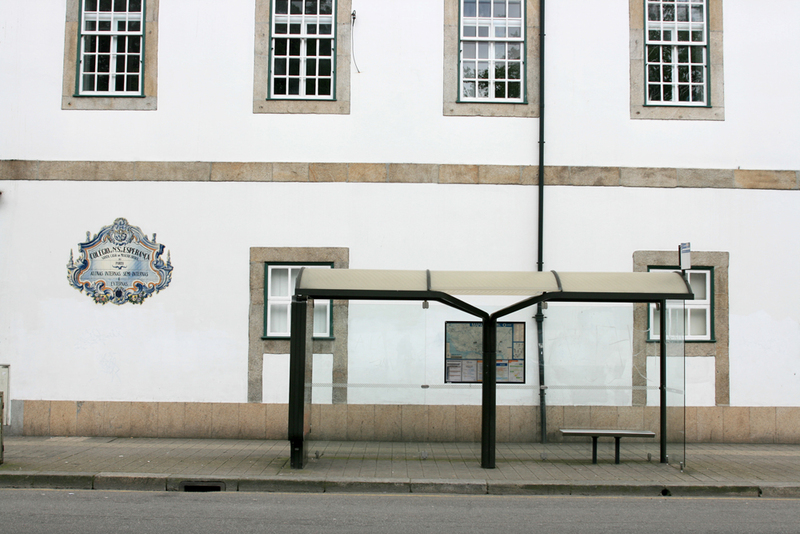 Thus, the often encountered but rarely noticed social space of passage gains meaning in the viewer, while individual stories and memories overflow.